PROPERTY MARKETED FOR COMMERCIAL/INDUSTRIAL DEVELOPMENT. LOCATED IN AREA OF INDUSTRIAL DEVELOPMENT. BUILDINGS ON THE PROPERTY BUT VALUE IS IN THE LAND. PROPERTY LOCATED . . . COURTESY: DAVE KOHEL AGENCY, INC.
PROPERTY MARKETED FOR COMMERCIAL/INDUSTRIAL DEVELOPMENT. LOCATED IN AREA OF INDUSTRIAL DEVELOPMENT. PROPERTY LOCATED WITHIN PARIS, SOMERS, AND THE CITY OF KENOSHA . . .
PRIME LAND FOR INDUSTRIAL DEVELOPMENT, LOCATED JUST NORTH OF A BUILDING LEASED BY AMAZON.ADJACENT TAX PARCEL 82-4-222-191-0200, 82-4-222-192-0300, AND 82-4-222-192-0200 . . .
GREAT LOCATION, ADJACENT TO THE NEW VILLAGE OF MUKWONAGO BUSINESS PARK. VILLAGE IS RAPIDLY GROWING AND EXTREMELY PRO-DEVELOPMENT. ALONG RAILROAD TRACK - POTENTIAL FOR . . . INCREDIBLE FREEWAY SERVICE BUSINESS DISTRICT. INTENDED BUSINESSES FOR THIS SITE ARE: CLUSTER OF HOTELS, RESTAURANT, GASOLINE STATION AND FREEWAY CONVENIENCE STORE. THIS . . . REMARKABLE OPPORTUNITY JUST SOUTH OF THE EVER EXPANDING CITY OF WEST BEND. COMMERCIAL/INDUSTRIAL DEVELOPMENT FOR A LARGE END USER, RESIDENTIAL DEVELOPMENT WITH MULTIPLE . . .
38+/- ACRES IN THE CITY OF LAKE GENEVA. UTILITIES PRESENT AT LOT LINES. POTENTIAL COMMERCIAL/SENIOR LIVING/MULTI FAMILY AND RESIDENTIAL SINGLE FAMILY RESIDENCE WORKING . . .
+/- 47.370 ACRES OF PRIME DEVELOPMENT PROPERTY WITH SEWER AND WATER AT THE LOT LINE. THE PROPERTY HAS LISBON AND TOWNLINE FRONTAGE. ACROSS FROM WANAKI GOLF COURSE AND . . .
GREAT OPPORTUNITY IN THE PATH OF PROGRESS. HAVE PANERA, CHILI'S, APPLEBEE'S AND NEW MEIJER STORE AS YOUR NEIGHBORS. JUST OVER 8.8 ACRE PARCEL WITH POSSIBILITY OF 2-5 . . .
PRIME DEVELOPMENT SITE: INCREDIBLE LOCATION AND TOPOGRAPHY. SITE IS PERFECT FOR MULTI-FAMILY MARKET-RATE HOUSING WITH COMMERCIAL ON CORNER AND POSSIBLY ALONG 90TH ST. . . . INCREDIBLE FREEWAY SERVICE BUSINESS DISTRICT. INTENDED BUSINESSES FOR THIS SITE ARE: CLUSTER OF HOTEL, RESTAURANT, GASOLINE STATION AND FREEWAY CONVENIENCE STORE. THIS . . . THE REAL VALUE IS IN THE LAND... PRIVATE EXECUTIVE ESTATE ON 75 WOODED ACRES. TWO STORY ALL BRICK, 4 BED, LARGE OFFICE COULD BE USED AS 5TH BEDROOM, 3 FULL AND 2 HALF . . .
PRIME DEVELOPMENT OPPORTUNITY IN THRIVING 27TH STREET CORRIDOR! CLOSE PROXIMITY TO NORTHWESTERN MUTUAL AND IKEA. 375 FT. OF FRONTAGE ON EAST SIDE OF S. 27TH ST! NEARLY 4 . . .
PRIME DEVELOPMENT OPPORTUNITY IN THRIVING 27TH STREET CORRIDOR! CLOSE PROXIMITY TO NORTHWESTERN MUTUAL AND IKEA. OVER 4 ACRES WITH FRONTAGE ON BUSY S. 27TH ST! . . .
35 ACRES +/- OF PRIME DEVELOPMENT PROPERTY LOCATED ON THE FAST-GROWING, EAST SIDE OF WEST BEND. MULTIPLE ZONED PROPERTY (THE MAJORITY IS COMMERCIAL) MAY BE SPLIT WITH . . .
9.6 ACRES +/- OF PRIME DEVELOPMENT LAND. ADJACENT TO MANY RETAILS ESTABLISHMENTS. ADDITIONAL LAND MAY BE AVAILABLE. PHASE 1&AMP;2 INSPECTIONS ARE DONE. SELLER MAY BE . . . COURTESY: MICHAEL DELUCA REALTY, INC. EXCELLENT REDEVELOPMENT OPPORTUNITY. +/-4.65 ACRES FOR RETAIL/OFFICE ALONG BUSY HWY 100 CORRIDOR (S 108TH STREET) BETWEEN COLDSPRING ROAD AND ARMOUR AVE. BUILD TO SUIT, . . .
17 ACRES FOR COMMERCIAL DEVELOPMENT IN PRIME AREA OF RACINE COUNTY. 3 PARCELS TOTALING 17 ACRES ON HIGHWAY FRONTAGE JUST SOUTH OF HWY K NEAR YOUR NEW NEIGHBOR HARLEY . . .
OVER 20 ACRES OF HIGHLY VISIBLE LAND WITH EXCEPTIONAL HIGHWAY ACCESS IS NOW AVAILABLE! TRAFFIC COUNTS ARE APPROX. APPROX 41,600 CARS PER DAY ON HWY 16, WHICH TRAVELS . 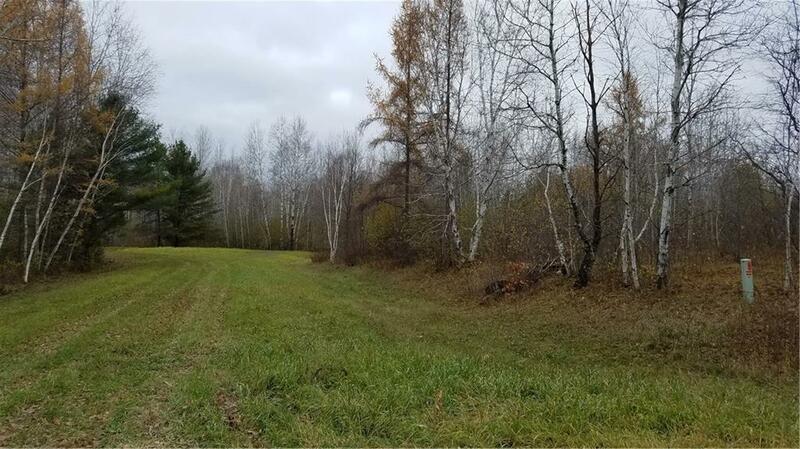 . .
46.4 ACRES OF VACANT LAND ABOUT ONE HALF MILE EAST OF I-94 IN THE TOWN OF SOMERS.LOCATED IN TOWNS SEWER SERVICE AREA.ADDITIONAL LAND AVAILABLE.DEVELOPMENT POTENTIAL!! 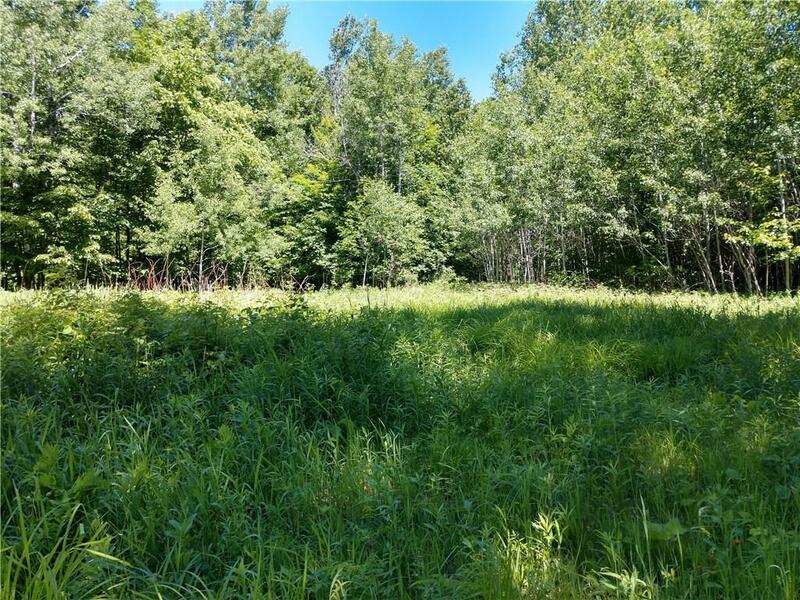 PRIME MOUNT PLEASANT DEVELOPMENT POTENTIAL: WELL WITHIN TWO MILES OF THE FOXCONN CAMPUS, 38 FANTASTIC ROLLING ACRES OF LUSH, QUIET COUNTRYSIDE WITH BREATHTAKING VIEW, . . . REMARKABLE OPPORTUNITY FOR YOUR LARGE SCALE END USER OR DEVELOPER. OVER 125 ACRES OF LAND IN THE WEST BEND SCHOOL DISTRICT AND LOCATED JUST SOUTH OF WEST BEND MUNICIPAL . 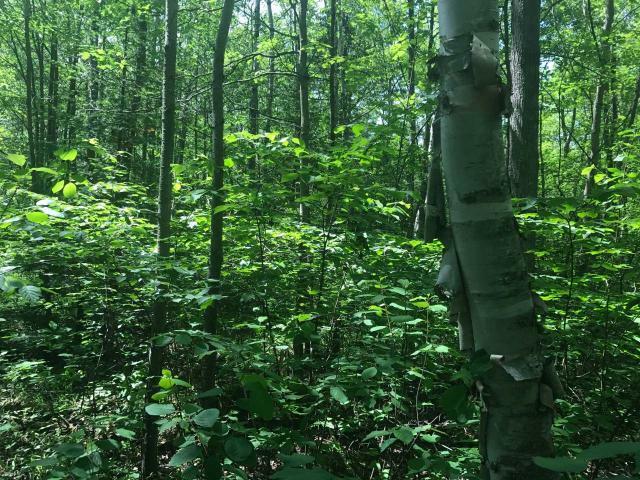 . .
2585 RUSCO DRIVE, WEST BEND, WI IS A RARE 100.29 ACRES IN THE SOUTH EAST CORNER OF WEST BEND, BORDERING RAILROAD TRACKS ON EASTERN BOUNDARY. IN THE LAND USE PLAN . . .
HIGH-TRAFFIC CORRIDOR WITH EXCELLENT VISIBILITY. IDEAL LOCATION FOR OFFICE, GENERAL RETAIL, RESTAURANT, OR GAS STATION. 4.2 ACRES ZONED B-2 WITH THE POSSIBILITY TO . . . ATTENTION ALL DEVELOPERS AND INVESTORS. RARE OPPORTUNITY HERE!!! OVER 100 ACRES OF PRIME DEVELOPMENT LAND IN WAUKESHA COUNTY. THIS IS A PRIME DEVELOPMENT PROPERTY WITH . . . LOCATED IN THE HEART OF WEST BEND, WALKING DISTANCE TO THE WEST BEND HIGH SCHOOL AND OVER 150 ACRES IN SIZE. CURRENTLY ZONED AG, THE CITY OF WEST BEND PLANS THIS SITE TO . . .
DEVELOPMENT PROPERTY OPPORTUNITY BETWEEN LAKE GENEVA AND DELAVAN. ALREADY PLATTED AND APPROVED FOR COMMERCIAL AND RESIDENTIAL BUILDING. B-2, R-4 AND R-5 ZONING. HIGHLY . . .
GREAT REDEVELOPMENT OPPORTUNITY. LARGE +/- 20 ACRE LOT WITH +/- 849 FT OF FRONTAGE ON LAKE MICHIGAN. SITE CURRENTLY HOUSES TWO FORMER SCHOOL BUILDINGS TOTALING +/- . . .
116 ACRE FARM LOCATED NORTH OF CITY LIMIT OF LAKE GENEVA. BEING USED AS CROP LAND. EXCELLENT VISIBILITY AND ACCESS TO THE PROPERTY. THE SITE CURRENTLY HAS MULTIPLE ACCESS POINTS TO STATE HIGHWAY 50. THERE ARE MULTIPLE BUILDINGS ON THE SITE. THE MAIN . . .
AMAZING SITE FOR SOMEONE LOOKING TO DO A LARGE LUXURY HOME. COULD ACCOMMODATE A NICE SUBDIVISION. PLEASANT VALLEY FARMS. WASHINGTON COUNTIES NEWEST DEVELOPMENT DIRECTLY ACROSS FROM WASHINGTON COUNTY FAIR PARK(SOUTH). 80 ACRES TOTAL, PLEASANT VALLEY RD &AMP; US 45. . . .
PRIME PARCEL FOR FUTURE RESIDENTIAL DEVELOPMENT. VILLAGE OF MT PLEASANT LAND USE PLAN IS FOR SINGLE FAMILY AND MULTIPLE FAMILY. WATER, SANITARY AND STORM SEWERS ARE . . .
PRIME LOCATION FOR DEVELOPMENT! LOCATED DIRECTLY ACROSS FROM FOXCONN FEVER ! NEXT TO PROPOSED CONTROLLED SIGNAL , PRIME LOCATION ! PRIME 78 ACRES OF DEVELOPMENT OPPORTUNITY IN THE CITY OF FRANKLIN, WITHIN A 15 MINUTE DRIVE TO NEW FOXCONN LOCATION. PRESENT ZONING IS R1, C1. PRESENT USAGE IS . . .
PRIME MULTI-FAMILY DEVELOPMENT LAND LOCATED ON BAIN STATION ROAD AND 85TH AVE. CLOSE TO REC PLEX, PRAIRIE SPRINGS PARK (ONE OF THE LARGEST FACILITIES IN THE US), . . .
VERSATILE DEVELOPMENT SITE WITH A TON OF ACCESSIBILITY. RIGHT NEAR I41-45. POTENTIAL FOR RESIDENTIAL DEVELOPMENT, MEDICAL BUILDING ETC. ALMOST ALL OF THE ACERAGE IS . . .
WITH EVERYBODY LOOKING TO INVEST IN RAYMOND THIS IS A VERY INTERESTING PARCEL WITH A LITTLE BIT OF EVERYTHING. 4 SEPARATE PARCELS TOTALING APPROXIMATELY 125 ACRES. THE . . .
PRIME DEVELOPMENT OPPORTUNITY! 30 ACRES LOCATED OFF STATE RD 120 &AMP; HWY 12. SALE INCLUDES 5 TAX KEYS. THIS PROPERTY WAS PREVIOUSLY APPROVED FOR MIXED USE DEVELOPMENT . . . EXCELLENT OPPORTUNITY TO JOIN THE NEW LOVE'S TRAVEL CENTER AND HOLIDAY INN EXPRESS IN ELKHORN. PAD READY SITES AVAILABLE FOR RETAIL, OFFICE, HOSPITALITY, RESTAURANT, . . .
BEAUTIFUL 120 ACRES NEAR WI. &AMP; IL. BORDER. WILDLIFE IS VERY ABUNDANT WITH EVERY TERRAIN YOU COULD IMAGINE. ROLLING, WOODED, PRAIRIE, PONDS AND A CREEK THAT CONNECTS . . . CURRENTLY USED AS FARM LAND, AND TENANT OCCUPIED FARMHOUSE. HAS ACCESS FROM OAKWOOD AND ELM RD ON SOUTH SIDE. HAS CITY WATER AND AND SEWER RUNNING UP TO PROPERTY. GAS, . . .
ONE OF THE PRECIOUS FEW REMAINING LARGE RESIDENTIAL DEVELOPMENT LOTS, IN A PRIME SECTION OF MENOMONEE FALLS. ACROSS FROM THE GOLF COURSE AND TAYLOR'S WOODS. LEVEL, . . . THIS LAND GORGEOUS LAND HAS MATURE TREES AND SLOPING TERRAIN AND PERFECT FOR DEVELOPMENT. PLEASE CALL FOR ADDITIONAL DETAILS REGARDING THE PROPERTY, INCLUDING THE HOME . . . THE VALUE IS IN THE FUTURE DEVELOPMENT NEAR FOXCONN AND RECENTLY REZONED TO BUSINESS PARK. 20 ACRES WITH EASY FREEWAY ACCESS. PROPERTY INCLUDES A 3 BEDROOM TRI LEVEL . . . COURTESY: IMAGE REAL ESTATE, INC.
PRIME DEVELOPMENT OPPORTUNITY. INCOME POTENTIAL - CURRENTLY 3 BUILDINGS ON PROPERTY. CONVENIENT TO I-41/I-94. HIGH TRAFFIC COUNTS - I-41/I-94 +/- 124,000 CARS/DAY PER . . . TREMENDOUS OPPORTUNITY OF 30 ACRES. CURRENTLY ZONED R-2 &AMP; FW. FUTURE LAND USE MAP 2025 SHOWS COMMERCIAL DEVELOPMENT USE AS WELL. APPROXIMATELY 2.7 ACRES AVAILABLE IN THE CITY OF LAKE GENEVA LOCATED WITHIN THE GENEVA BUSINESS PARK. LOCATED JUST OFF OF HIGHWAY 50 AND HIGHWAY 12. ZONED FOR RETAIL, . . .
38 AC WITH 90X45 OUTBUILDING. APPROX 20 FT DEEP SPRING FED FISHING POND W/REMOVABLE PIER. EXCELLENT HUNTING, HORSE FARM W/UNLIMITED HORSES PER VILLAGE, RESIDENTIAL (2 AC . . .
5.66 ACRES. IDEAL LOCATION FOR ANY COMMERCIAL ENTERPRISE. CAN BE SEEN BY 70,000 CARS PER DAY. EASY ACCESS FROM ALL DIRECTIONS. PART OF VILLAGE OF MT. PLEASANT MASTER . . .
LAND ON NORTH SIDE OF CTH HM IS CURRENTLY UNDER CONTRACT WITH A BUYER. REMAINING +/- 225 ACRES ON THE SOUTH SIDE OF CTH HM AVAILABLE WITH AN ASKING PRICE OF . 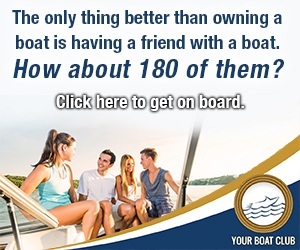 . .
GREAT DEVELOPMENT OR INVESTMENT OPPORTUNITY. THIS 28+/- ACRE TRACT OF LAND HAS APPROXIMATELY 18 ACRES OF UPLAND. A HIGHLY VISIBLE, PRIME LOCATION OFF OF GOLF ROAD WITH . . . THE PROPERTY IS CURRENTLY ZONED A-2. THE VILLAGE OF CALEDONIA LAND USE PLAN RECOMMENDS INDUSTRIAL USE OR POTENTIAL OF MULTI-FAMILY USE. NEW SEWER LINES AT PROPERTY &AMP; . . . FANTASTIC PROPERTY (JUST UNDER 10 ACRES) WITH HIGH VISIBILITY ON HWY 36/RYAN RD IN FRANKLIN NEAR RECENTLY APPROVED BUSINESS PARK AND 79 NEW RESIDENTIAL HOME SITES (BY . . .
VALUE IS IN THE LAND !PRIME LOCATION FOR ANY COMMERCIAL, MULTI FAMILY, OR INSTITUTIONAL USE.THIS +/- 3 ACRE PARCEL (339FT FRONTAGE) IS COUPLED WITH ADJACENT +/- 4.2 ACRE . . .
BRING YOUR IDEAS FOR A POTENTIAL MULTI UNIT DEVELOPMENT ON 12.5 ACRES OF LAND IN OAK CREEK! CONCEPT PLAN ON FILE FOR 144 UNITS. THIS IS A SECLUDED PROPERTY ADJACENT FROM . . . THIS IS A COMPILATION OF 3 INDIVIDUAL LISTINGS, LOCATED AT 6319 S HOWELL AVE., 119 W COLLEGE AVE., 133 W COLLEGE AVE. OAK CREEK. FOR MARKETING PURPOSES PLEASE SEE MLS#S . . . THIS LOT IS 32 ACRES OF RAW LAND. LAND HAS FRONTAGE ON ELM RD AS WELL AS 10TH AVE. THERE IS A CITY EASEMENT FOR A ROAD ON THE LAND THAT IS AT APPROXIMATELY 10TH AND . . . THE EAST UPLAND 40 ACRES HAS A BEAUTIFUL POND, OLDER HOME, BARN, POLE BUILDING, AND OTHER FARM STRUCTURES, INCLUDING GREEN HOUSES. THE VALUE OF THIS PROPERTY IS IN THE . . .
PRIME ACREAGE!! CURRENTLY THERE IS A FARMHOUSE ON THE PROPERTY, BUT THE VALUE IS IN THE LAND! 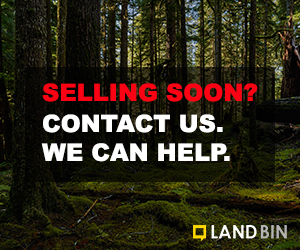 PLEASE CALL THE LISTING AGENT FOR DETAILS ON FUTURE WATER, SEWER AND LAND . . .
DEVELOPMENT LAND. MUNICIPAL WATER PROPOSED FOR FUTURE USE. WATER COMING TO PADDOCK LAKE 2019. SEWER AVAILABLE. NO WETLANDS ON SITE. CURRENTLY ZONED AG. COMPREHENSIVE . . .
SEWER AND WATER ARE AVAILABLE. ZONED B-6 PRIME DEVELOPMENT OPPORTUNITY LOCATED BY THE PREMIUM OUTLETS. PARCEL IS 3.34 ACRES BETWEEN CORPORATE DRIVE &AMP; 120TH AVENUE. . . .
GREAT DEVELOPMENT OR INVESTMENT OPPORTUNITY FOR APPROX. 21 ACRES. LOCATED ONLY MINUTES AWAY FROM GENERAL MITCHELL INTERNATIONAL AIRPORT AND WITH GREAT HIGHWAY ACCESS. . . .
OVER 46 ACRES WOODED RESIDENTIAL PROPERTY. 18 ACRES UNDEVELOPED. PRIME PUETZ ROAD ACCESS. SUB DIVIDE OR CREATE YOUR OWN OASIS IN THE CITY.83 PLUS ACRES TOTAL AVAILABLE. . . . ATTENTION INVESTORS: TWO ''SHOVEL READY'' SUBDIVISIONS ARE AVAILABLE FOR CONSTRUCTION OR TO BE REPOSITIONED. 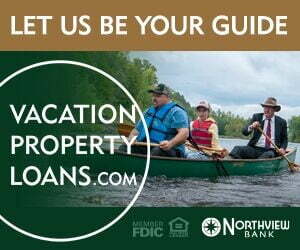 LOCATED IN THE VILLAGE OF SAUKVILLE ON THE NORTH AND SOUTH . . . LOCATION, LOCATION, LOCATION IS EVERYTHING IN REAL ESTATE. LARGE 32.35 PARCEL LOCATED OFF OF SPRING VALLEY RD RIGHT PAST THE NEW AURORA SURGERY CENTER. LAND HAS FRONTAGE . . . HIGHLY VISIBLE CORNER LOT BORDERING ON 2 STATE HWYS AND ANNEXABLE TO VILLAGE OF SLINGER. MUNICIPAL SEWER AND WATER AVAILABLE ACROSS THE STREET. 1.9 USEABLE ACRES WITH . . .
20 ACRES IN THE NEIGHBORHOOD PLAN FOR COMMERCIAL DEVELOPMENT WITH OVER 1,121 FT OF FRONTAGE ON GREEN BAY RD. ADJACENT TO THE NORTH OF THE PROPERTY IS ADDITIONAL 22 ACRES . . .
11.7 ACRES IN THE PATH OF DEVELOPEMENT. ADJACENT TO ANOTHER PIECE THAT JUST SOLD FOR THE SAME PRICE PER ACRE. AS THE LIST PRICE. CALL MIKE FOR A SHOWING OF THIS PROPERTY. 110 ACRES OF PURE PARADISE , SOME WOODED LANDS, SOME 85=/- ACRES IS TILLABLE, SEASONAL WATER THROUGH WOODS, PLENTY OF DEER AND WILDLIFE. MOST LAND IS RENTED ON A YEARLY . . . BUILD YOUR DREAM HOME ON PEWAUKEE LAKE ON THIS BREATHTAKING SOUTH SHORE LAKE LOT. 100 PLUS FEET OF FRONTAGE READY FOR YOUR FULL ENJOYMENT. EXISTING 2 STORY BOAT HOUSE. 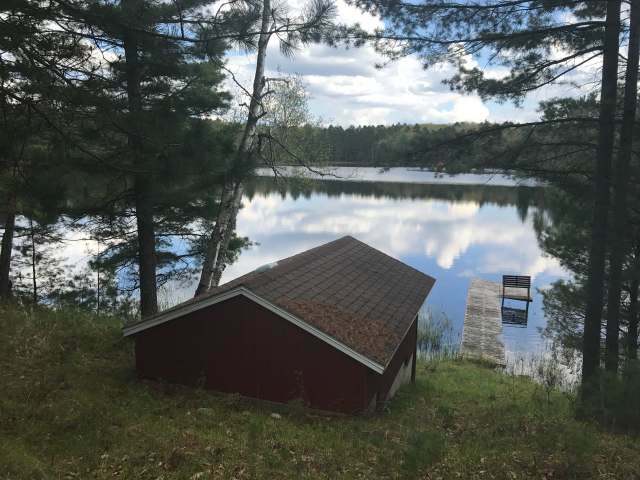 A . . .
DO NOT MISS OUT ON THIS RARE OPPORTUNITY TO OBTAIN SUCH AN EXCEPTIONAL PARCEL OF LAND 1.1 ACRES WITH PANORAMIC VIEWS OF 121 FEET OF FRONTAGE LOCATED ON POWERS LAKE. . . . ATTENTION ALL DEVELOPERS, INVESTORS, AND FARMERS! OPPORTUNITY FOR OVER 95 ACRES OF EITHER FUTURE RESIDENTIAL DEVELOPMENT (WITH MUNICIPAL APPROVAL) OR FARMLAND IN THE . . . APPROXIMATELY 40 ACRES APPROVED FOR AN 11 LOT SUBDIVISION WITH LOTS RANGING FROM 3 TO 5 ACRES.FINAL PLAT IS NEAR COMPLETION. LAND CONTAINS 7 TAX KEY #'S AND PRESENT USE . . . 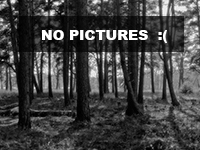 THIS BEAUTIFUL PARCEL HAS EXCELLENT POTENTIAL FOR RESIDENTIAL DEVELOPMENT! GENTLY ROLLING AND SLOPING PARCEL WITH ATTRACTIVE VIEWS IN ALL DIRECTIONS. BUILD YOUR DREAM . . . FANTASTIC OPPORTUNITY TO BUILD IN A B2/RR DISTRICT. HIGH VISIBILITY AS THIS LOT HAS 27TH STREET FRONTAGE. LOCATED NEXT TO BOG BOX STORES, CHURCH, AND CAR WASH. EAST SIDE . . .
APPROVED FOR 72 MULTI FAMILY UNITS (PER SELLER). ZONED RM-2 (MULTIPLE FAMILY RESIDENCE DISTRICT). GREAT LOCATION CLOSE TO MANY AMENITIES, SHOPPING, RESTAURANTS, . . .